Ephesus has been on our bucket lists for over 10 years and the chance to visit the ancient site was amazing. The highlight of the city is the Library of Celsus. 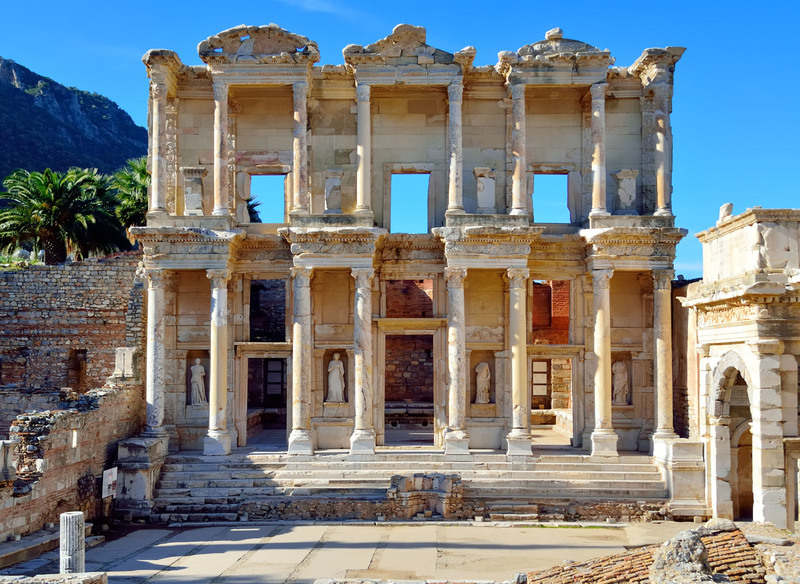 The library was completed in 135 AD and was built to house 12,000 scrolls and to honor the Roman Senator Tiberius Julius Celsus Polemaeanus, whose tomb is below the entrance.